"We have become an island of lost landmarks. Fire, storm, tide and general obsolescence have claimed nearly all of them. The big hotels, the boardwalk, the gunning clubs, the train, the old causeway and even Tucker’s Island itself have all vanished. All we have are photographs and the memories of those people who were here and who lived through these changing times...."
"The past is brought to life in this loving history ..."
Rediscover the lost resort of Sea Haven and Tucker’s Island; ride the Tuckerton and Long Beach Railroad to the new resort of Beach Haven with its elegant boardwalk  just a fashionable stroll over broad dunes from grand hotels such as the Engleside and Baldwin. Visit the early gunning and yacht clubs; stay at the Mansion of Health or Captain Bond’s Long Beach House. Learn of the shore whalers, some of the first settlers on this barrier island, and watch the pound fishermen haul in boats brimming with fish caught just off the beach. See tragic shipwrecks, such as the Powhatan, and the birth of the U.S. Life Saving Service with its red houses dotting the beach. 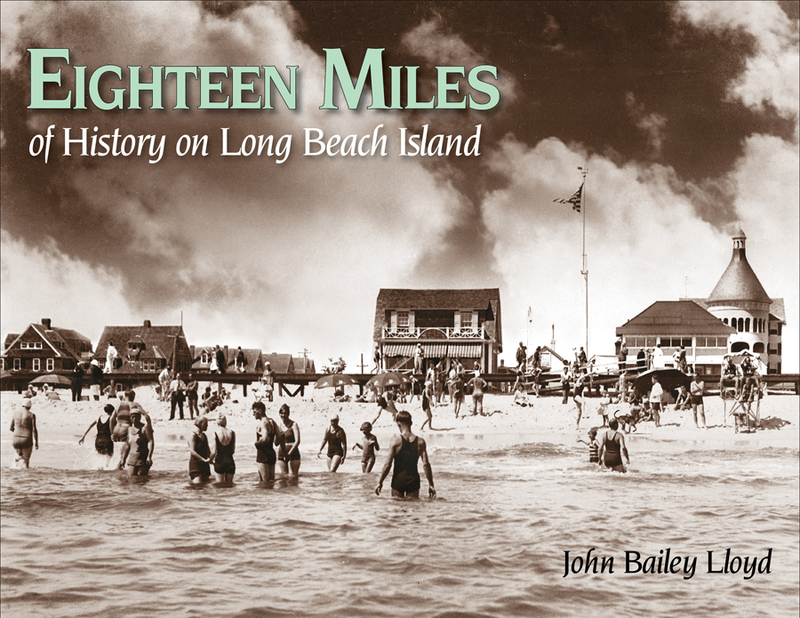 Eighteen Miles of History and Six Miles at Sea are two elegant companion books that explore much of the history of the Jersey Shore by focusing on the barrier island of Long Beach. The Shore of today may be strikingly different from that of a century ago, but it is images of the past  an innocent and wilder Shore  that cement our present-day bond with this place. Modern-day shore lovers will find their long-ago counterparts here. Both titles take us back to a unique place at the sea’s edge and the people who came to know and love it. The two books explore the same time and place but the topics differ. Together, they give us an opportunity to rediscover this beautiful, sometimes dangerous, more personal Shore of only a few generations ago. In two books rich with images and wonderful writing, we come to have a sense of place about the Shore that a summer vacation alone can never convey. Long Beach Island's premier historic videos! Six Miles at Sea and Tucker's Island, and Barnegat Light and Barnegat City are historical documentaries based on John Bailey Lloyd's writings.